When The Taking of Pelham One Two Three hit theaters in 1974, Mayor Abe Beame was working on a Second Avenue subway line and the city insisted that filmmakers improbably portray a car that wasn’t tagged by graffiti. But the movie still captured the mood of gritty unmanageability that the city was tipping into. 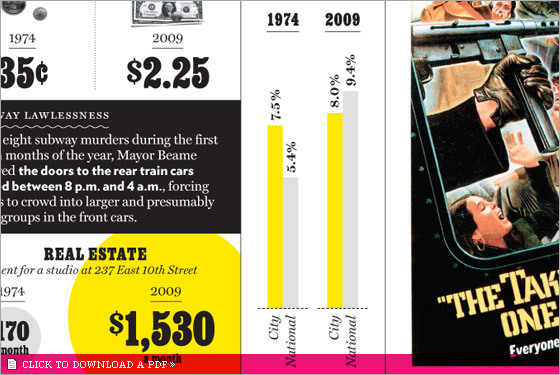 As the remake arrives this week, the cars are clean, the city is safer, and subway ridership is much higher. But dark clouds loom. Here, a comparison of Pelham eras.